I was Lucy the Valiant, Queen of Narnia. In one hand I grasped my shield–a metal garbage can lid–and in the other I held a wooden sword. Together with my brother, Peter, High King of Narnia, we vanquished the White Witch and brought spring to Narnia once again. The books I read as a child came alive to me as I acted them out with my siblings and cousins. Their stories shaped not just my playtime, but my character, too. The heroes of the books I read became my role models. My children and their cousins are Larkin Warriors. When you’re only one inch tall, enemies abound. But with daggers and slingshots, they fight the Renegades and protect the Larkin hidden in The Keep. I’m sure that even my neighbors can hear the war cries “Redwall!” and “Eulalia!” My little mice, hares, and shrews courageously defend Redwall Abbey. Hardly a day goes by that they aren’t cooking up one feast or another between battles. Janner, Tink, and Leeli prefer my pancakes and bacon to the Maggotloaf of the Fangs of Dang. With good food in their bellies, they can face their fears of toothy cows and horned hounds, as they hide from Gnag the Nameless and the Black Carriage. Our alfalfa field is transformed into the peaceful grassy field where Picket and Heather play “Starseek.” But when their world is thrown into turmoil with the arrival of the Moribon Blackhawk’s forces, the siblings fight to protect each other–and their family name–against all odds. Swallows and Amazons often sup on pemmican and peas to ward off scurvy. 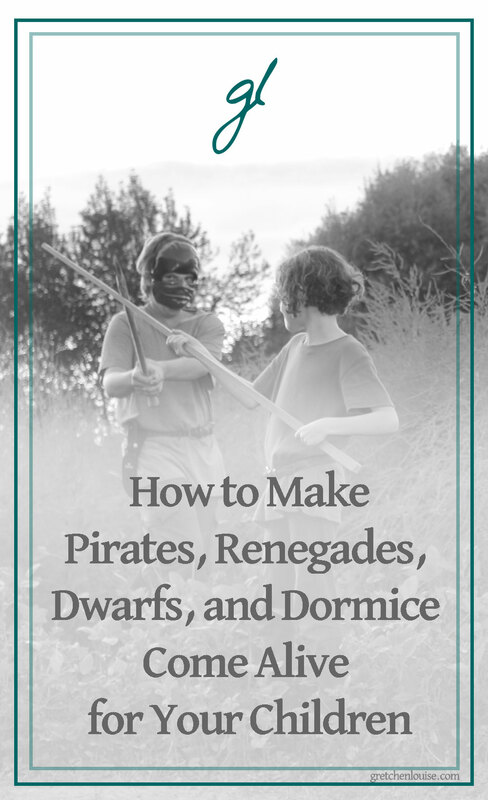 The Walker siblings have glorious times at sea, encountering dangerous pirates–as well as some savages that mysteriously resemble their mother and little sister. It comes full circle when my children are Peter and Lucy and Susan Pevensie, just like my brother and cousins and I were. Prince Caspian is a favorite in this generation; he’s everyone’s hero. But Reepicheep–oh how my middle girl adores that spirited mouse who shares her personality. 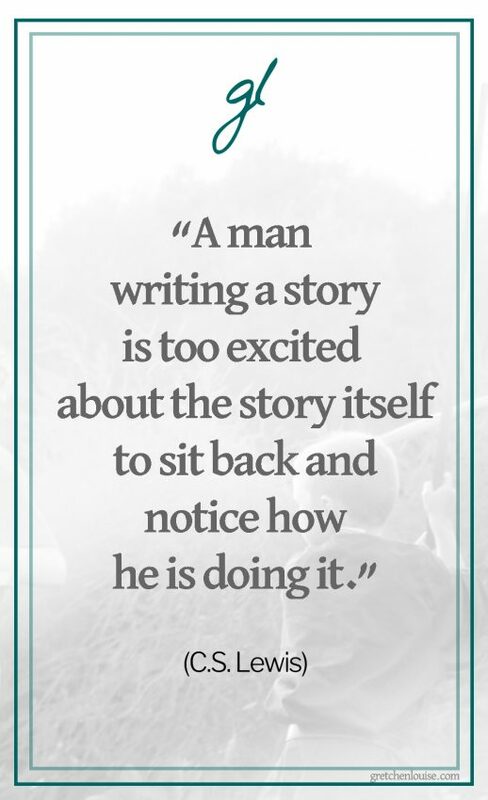 The stories come alive to them as they become part of each story. The lessons they learn as they read each book are woven throughout the fiber of their character. From The Tales of Larkin, they are learning the importance of obedience and faithfulness. Redwall teaches them loyalty and sacrifice, strengthening their sense of justice. The Wingfeather Saga illustrates the bond of family and the importance of long-suffering and perseverance. The Green Ember series exemplifies friendship, bravery, and sacrifice, displaying the beauty of community and mentorship. Swallows and Amazons showcases cheerful responsibility and close sibling relationships. The Chronicles of Narnia give them a love for the Lion and his sacrifice on the stone table, a longing to go further up and further in. 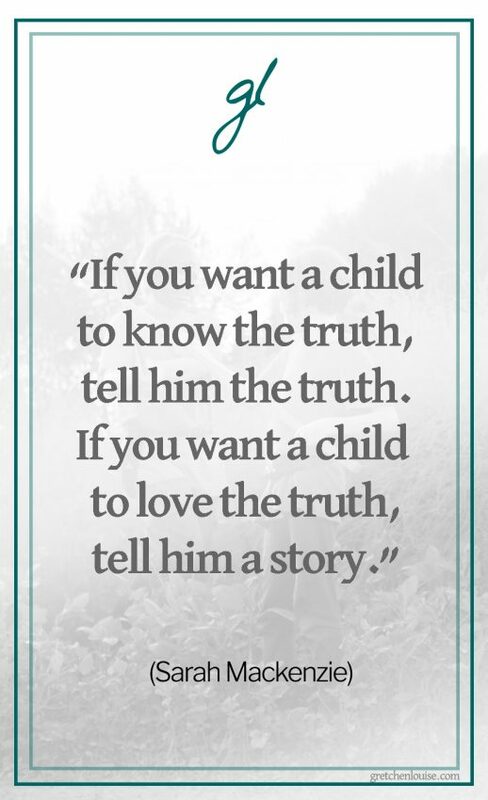 “If you want a child to know the truth, tell him the truth. It all began with a tiny waterfall. Alan W. Harris began to imagine what it would be like to be an inch tall so he could explore behind that waterfall. 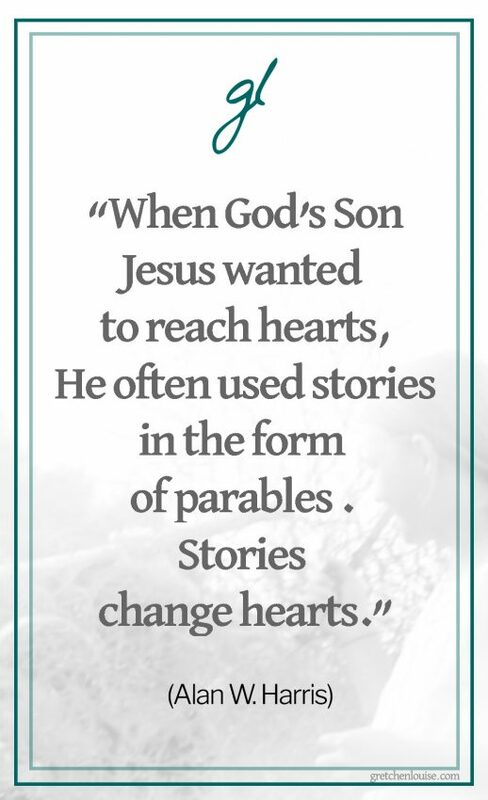 So was birthed a story that would take him 23 years to write. Hawthorn’s Discovery, the first book in The Tales of Larkin series, was released in 2012. My children anxiously awaited the fifth and final book, Fiery Trials. My oldest reads The Tales of Larkin books over and over again on Kindle and in print. My middle two spend hours pouring over the maps and illustrations in each book while they listen to the audiobooks. 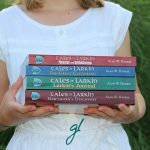 Narrated by the author himself, every character in The Tales of Larkin audiobooks is given its own voice. You can hear Alan’s passion for storytelling come through in each word. Each print edition is illustrated by the author and includes an appendix with family discussion questions for each chapter. Brian Jacques knew he was an author when his teacher thought he cheated, claiming 10-year-olds couldn’t write like that. The first book of his epic Redwall series was published 37 years later, in 1986. The twenty-second and final Redwall book was released in 2011, a few months after Jacques’ death. Thanks to PaperbackSwap, we’re collecting every single book in the Redwall series. Since the books are devoid of pictures, my children (ages 7 through 10) prefer the full cast audio versions. For some reason, only 17 of the 22 Redwall books are available on Audible (be sure you get the “full cast” version of the first book, named simply Redwall). The final book was never made into an audiobook, but you can find the other 4 (Pearls of Lutra, Marlfox, The Legend of Luke, and Lord Brocktree) on cassette tape. True fans will need The Redwall Cookbook so they can make Otter’s Hot Root Soup and some the other delicacies Redwall is known for. Younger readers will love the illustrated storybook The Great Redwall Feast. 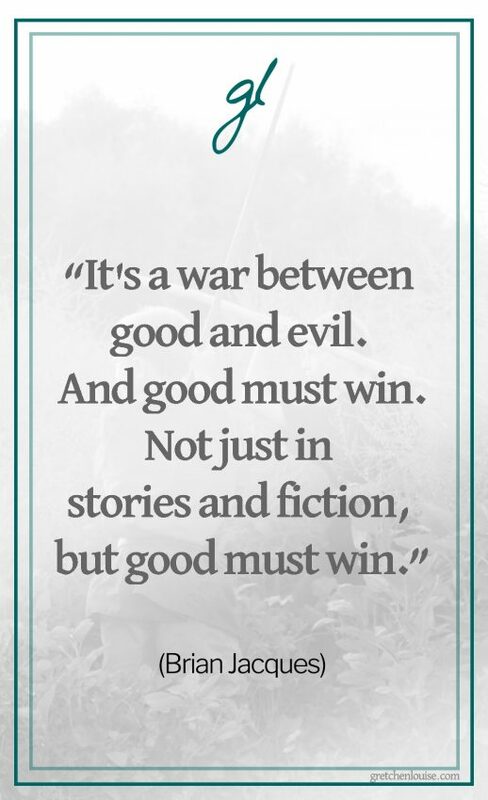 “It’s a war between good and evil. And good must win. Singer songwriter Andrew Peterson wanted to write stories from the time he was a boy. It took him five years to write the first book, On the Edge of the Dark Sea of Darkness, which was published in 2008. The next three books came more quickly, much to the delight of fans of Aerwiar. My children listen to the Audible versions of The Wingfeather Saga over and over. My dad read the entire series, along with the companion Wingfeather Tales which is only available in paperback. After the animated short film, my children are anxiously awaiting the rest of the multi-season animated series! True fans will need a copy of Pembrick’s Creaturepedia: Skreean Edition for reference. S.D. Smith wanted to be an author ever since his teacher read Lassie to his first grade class and his mom read The Chronicles of Narnia to he and his siblings. In 2014, when he was 37, Sam’s first book, The Green Ember, took read aloud families by storm. Joel Clarkson’s inimitable narration makes The Green Ember audiobooks a rich listening experience. But Zach Franzen’s incredible illustrations of rabbits with swords mean that you’ll want the print copies on your shelf or at the very least, on your Kindle. Arthur Ransome’s classic series, Swallows and Amazons, was inspired by a summer of teaching young friends to sail. These tales set in the Lake District were originally published in the 1930s and 1940s. We enjoy the twelve absolutely delightful Audible versions narrated by Alison Larkin. My goal is to someday collect the entire set of books with the lovely vintage covers. 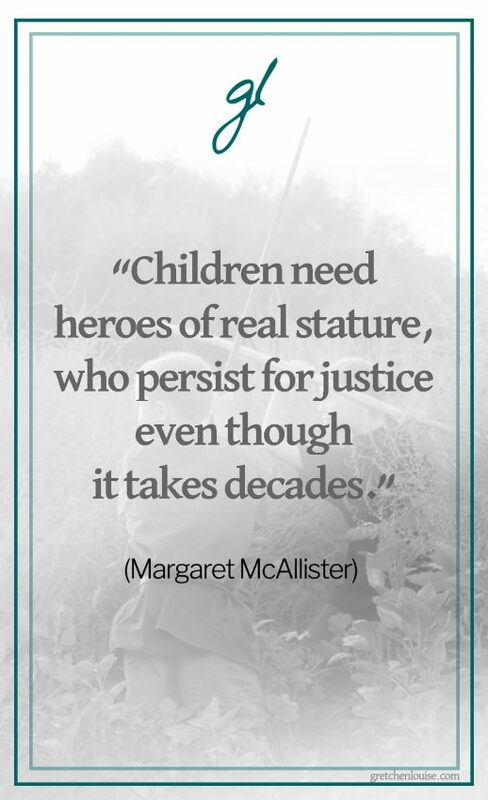 “I always loved stories with animals as the heroes, but I didn’t know I could write one until my agent persuaded me to try,” says Margaret McAllister. She’s created delightful (and devious!) characters in the squirrels, hedgehogs, moles, and otters of Mistmantle, an enchanted island surrounded by mists. Thankfully, all five books are available on Kindle. “It All Began with a Picture”, C.S. Lewis explained. It was a picture that had been in his mind since he was sixteen years old, of a faun carrying an umbrella. “Then one day, when I was about forty, I said to myself: ‘Let’s try to make a story about it.’” The Lion, the Witch, and the Wardrobe was published in 1950, followed annually by another book until the series of seven was complete. Our paperback copies of The Chronicles of Narnia, with the original pen and ink drawings by Pauline Baynes, were falling apart by the time my brother and I had read and reread them as children. The 1980s BBC movies were the first to introduce me to Lucy, Daughter of Eve, and Tumnus the Faun on screen. While my family enjoys the dramatic new Narnia movies that have been released, they’ll never quite replace the original BBC versions I enjoyed in my childhood. When Focus on the Family Radio Theatre produced Narnia, it made the books come to life in our imaginations like nothing else could. The Radio Theatre collection is worth every penny. We own the unabridged Audible versions of The Chronicles of Narnia, too, because the books are such classics and C.S. Lewis is so very quotable. 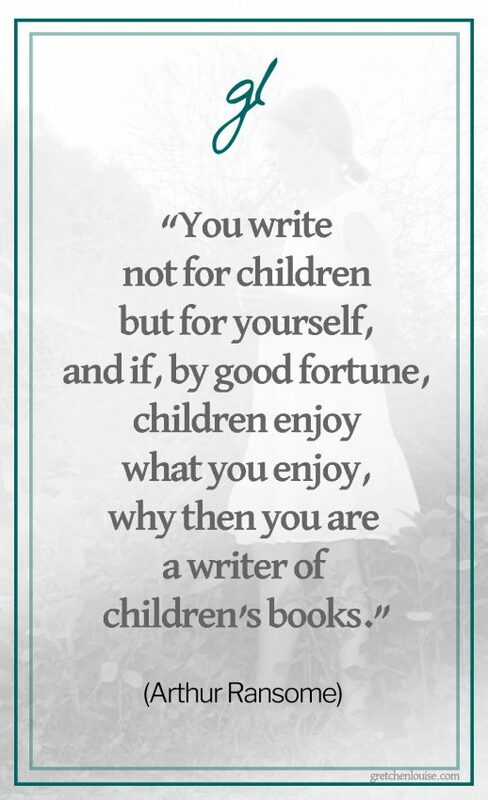 Tell me, what stories became part of your everyday play as a child? 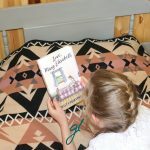 I loved all the American Girl books growing up. My third oldest brother and I shared a room when we were really little, and we used to listen to the “Pilgrim’s Progress” by John Bunyan. We used to be able to quote the whole story from beginning to end. I had an audio tape set of “A Christmas Carol” put out by Focus on the Family. I didn’t read the Narnia series until I was a young adult, but I am completely obsessed with Narnia. Gretchen, I love this post! The only series my oldest has read is Narnia. Love that I can direct her into another series…or a few!